The CO2 (R744) is a natural refrigerant historically used in refrigeration up to 40 years and recently rediscovered as a natural alternative to the use of synthetic refrigerants even more restricted and taxed due to their high environmental impact. Besides being a fluid of natural origin (low GWP-Global Warming Potential), it is not flammable toxic, has good properties of heat transmission, is extremely economical because of easy availability and is compatible with the most common materials used in the refrigeration plants. 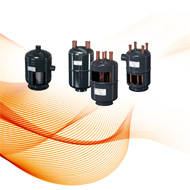 Since 2010, OCS COLD has been producing components for CO2 applications, suitable for both subcritical and transcritical cycle with a working pressures ranging from 45 to 130 BAR. The experience gained and the partnerships with the most important firms, has allowed the company to offer at the market high quality components always reliable. The CO2 production is based on customer requirements and is available in carbon steel as well as in stainless steel. There are two different type of liquid receivers: vertical and horizontal (OCS COLD offers also an universal version suitable for both uses). The selection of the liquid receiver must take into account the condenser's volume as well as the refrigerant load.The liquid receiver s positioned at the exit of the condenser in the liquid phase of the refrigerant to compensate any possible volume changes related to the outdoor temperature. The liquid separator is installed on the suction line after the bulb of the thermostatic valve and the closest possible to the compressor.The volume of the liquid separator should be at least 25-30% of the total volume of the system. 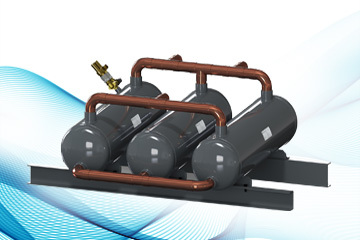 In choosing the model of the separator take into account the following factors: A) refrigerant type B) compressor's cooling capacity C) temperature and evaporation pressure of the system. 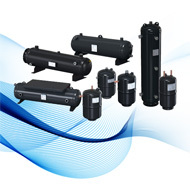 On request , OCS COLD produces liquid separators up to a maximum capacity of 300 liters. Available also ODS beeling in inch. OCS COLD demonstrating its versatility and flexibility, implements projects on specific customer requirements such as compatible components for refrigerants such as CO2 and NH3 or also constructed entirely in STAINLESS STEEL. The technical department follows the project at every stage, supporting the customer up to the finished product. 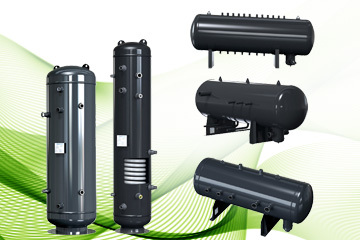 It is possible customize standard line products as well as develop new ones in collaboration with the client. 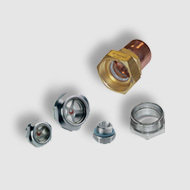 COLD OCS offers a wide range of optional accessories and spare parts.